Tammy Franklin is only twelve years old but so far in her young life she has had to deal with her mother’s untimely death, her father’s precipitate remarriage and her stepmother’s brutal murder. Her father, Hugh is naturally enough a prime suspect for his second wife’s murder and one of Tammy’s teachers – Jane – a friend of Meredith Mitchell – is concerned for Tammy’s welfare. The dead woman, Sonia, seems to have been a fish out of water married to a none too well off farmer. Her best friend, Bethan, has decided that she is going to avenge Sonia because she regrets introducing her to Hugh in the first place. Meredith and Superintendent Alan Markby find themselves clashing over the conduct of the investigation and Markby himself is finding it difficult to sit at his desk and oversee the investigation. I enjoyed this well written crime novel and thought the characters were well drawn and interesting. 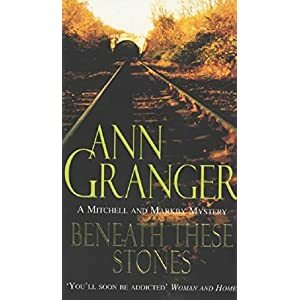 This book is part of an excellent series of relatively low key crime novels featuring Meredith Mitchell and Alan Markby and they really need to be read in the order in which they were published so that the reader can trace the development of the relationship between the main characters. If you like your crime novels with interesting plots and characters then I can recommend this series.